Pretty impressive – four packets! So there’s the contents of that retort pouch on top – looks kind of like cat food and has the same consistency. The dry powder was chunky… The oil looked okay though and a nice amount of vegetables. Here’s where all hell breaks loose. First off, there are no instructions included on how to cook this. 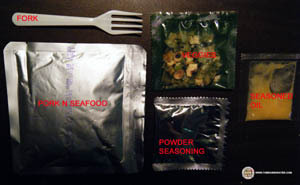 At the end of the seasoning packet ingredients, notice that it has Fe in it. WHAT THE HELL IS ‘Fe?’ Also, no Red Chili Powder Packet. It’s like this product isn’t this product. I went with my instincts; hell, I’ve had over 380 different varieties of noodles and I should be able to figure out this one’s cooking directions. I added enough boiling water to cover the noodles and all the ingredients. Guess what? The biggest insult I have ever had to deal with – the bowl LEAKS. Boiling water with oil and seasoning all over my table. And floor. I transferred this stuff to a bowl and added a little water and covered for 4 minutes. Click image to enlarge. The noodles were absolutely horrible. No character whatsoever. The retort stuff just didn’t work at all. The broth tasted very odd. Add that to the lack of instructions, incorrect ingredients and a leaky bowl and you get a ZERO STAR bowl of noodles. 0.0 out of 5.0 stars. What a mistake these were. Get them here. Yes, I’m voluntarily Rick Rolling this review. You know the rules…..
And I’ve sold out to the Keyboard Cat as well. Fe is iron, so there was iron in the seasoning packet? Maybe that’s why it tasted weird. Did you taste the noodles raw? 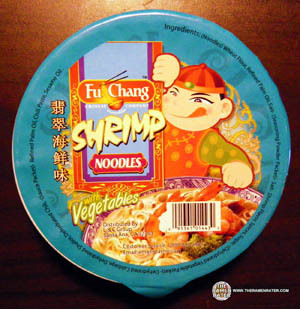 Usually how good the noodles taste raw gives a little insight to how great the noodles would be. I bought this for $0.49. And with this review, and my personal tastes, I can see why it was SO CHEAP. You were so lucky on that part sir. The RAW noodles, tasted a bit like you know how you left your bag of chips out in the heat and those chips have the crunchy soggy mix. 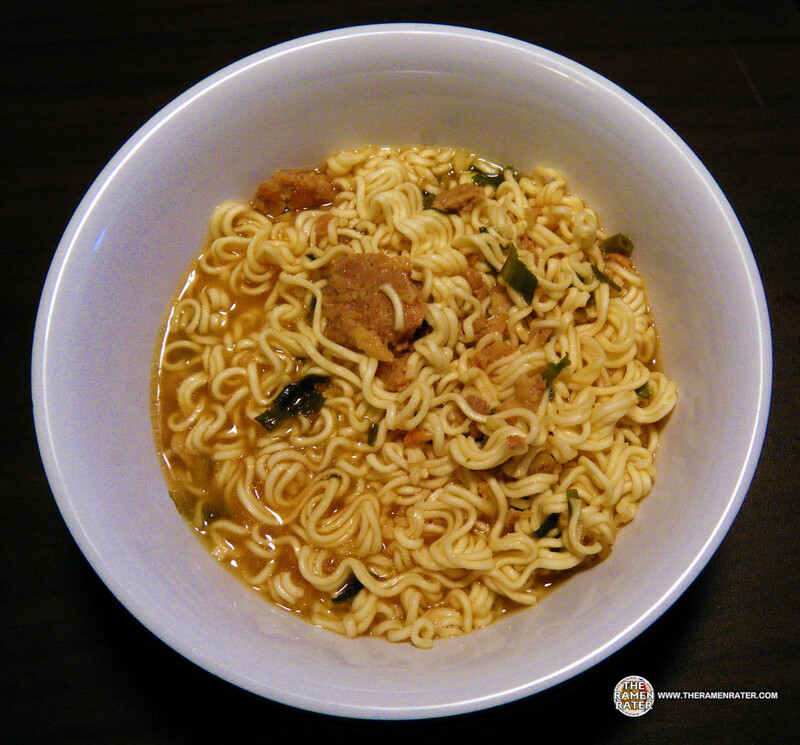 I agree, this brand of Instant noodles is a Disgrace to Instant noodles. Never thought Maruchan would be one of the better ends of Instant noodles. Wow you got it cheap – I think I paid over two bucks for it. 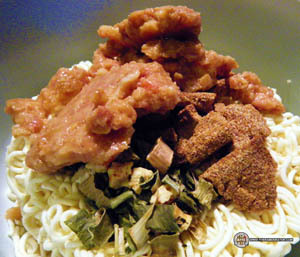 Nasty stuff – cat food and noodles ain’t for me. I may have forgotten something…..
so I improvised with top ramen chicken flavoring. in the end THE RAMEN was Horrible! The bowl as well adds to the weird taste cause I found one without a leak in it. So I put MARUCHAN oriental flavor ramen in. When I got down to the last bit of ramen noodles, there was a hint of oddity in the taste from the bowl itself, I don’t think that bowl is SAFE to eat out of. Yeah that Fu Chang stuff was like a kick in the face. You didn’t have it as bad though – the cat food stuff was pure chaotic oddity. Had an okay taste but the texture was just so off putting. I mean I’ll bet if you took all the ingredients they used, you could make a decent bowl of noodles, but if you use the wrong amounts and package them like that, what do you expect? I’m pleased you improvised and ate your noodles! Fe is most likely iron. I disagree.When all the ingredients are put together, using the standard Ramen cooking instructions, it actually is pretty good. 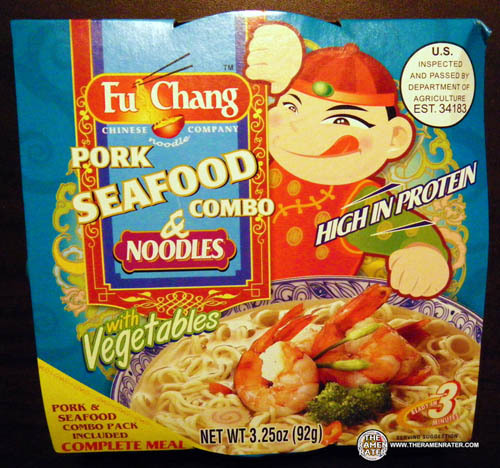 I had the Pork version of this, And yes the pork was a little cat foody on it’s own but blended in nicely. Hahahaha – I guess there’s a level of allowable cat fooodiness in you ingestion repertoire?